Biogas is a clean and renewable energy source which substitutes, Diesel, LPG and CNG for cooking, steam generation, transportation fuel, electricity generation, etc., Biogas is a by-product generated during the decomposition of any kind of organic matter by means of anaerobic bacteria Substrates such as manure, sewage sludge, municipal solid waste, biodegradable wastes or feedstock are transformed into methane and carbon dioxide The use of biogas as a fuel happens because it reacts with oxygen and releases energy, which is clean in nature. Biogas is generated by decomposition of any kind of ORGANIC WASTE by means of ANAEROBIC DIGESTION. 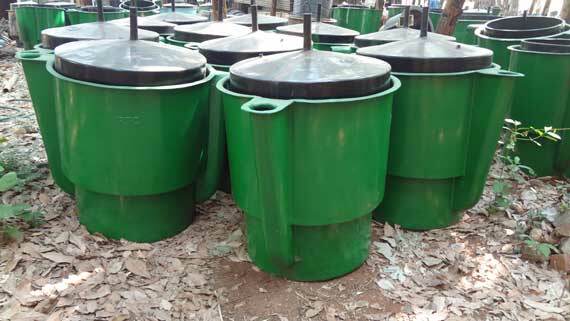 It is Biodegradable waste such Food remains, Livestock manure, Sewage sludge, Yard waste. Products: carbon dioxide and water vapor. No additional oxygen, closed environment. Products: carbon dioxide and methane. How much carbon the waste contains / How much of the waste decomposes. Biogas Composition mainly depends on the environment where decomposition occurs and the type of organic waste. Biological Process is Breakdown By Microorganisms.Two main Products of process is Digestate and Biogas. 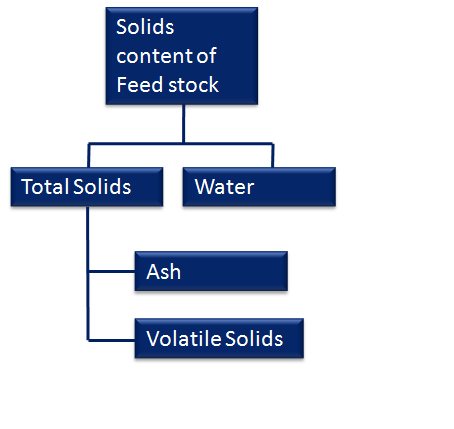 Solid fraction is similar to late-stage compost, can be used as fertilizer with some further processing. Mimics natural decomposition process in a closed system. Much more efficient decomposition (days vs. years in LF). CH4 % in Biogas - 58% avg. CO2 % in Biogas – 32% avg. 243.47 tons of CO2 Equivalent Emission. Burn a kilogram of CH4 and you get 2.75 kg of CO2. Release a kilogram of CH4 and you get 1 kg of methane and the global warming effect of 1 kg of CH4, in the GWP scale, is 21. The global warming effect of 1 kg of CO2, in the GWP scale, is 1. So releasing the methane is 21/2.75 = 7.6 times worse than burning it, from a global warming point of view. 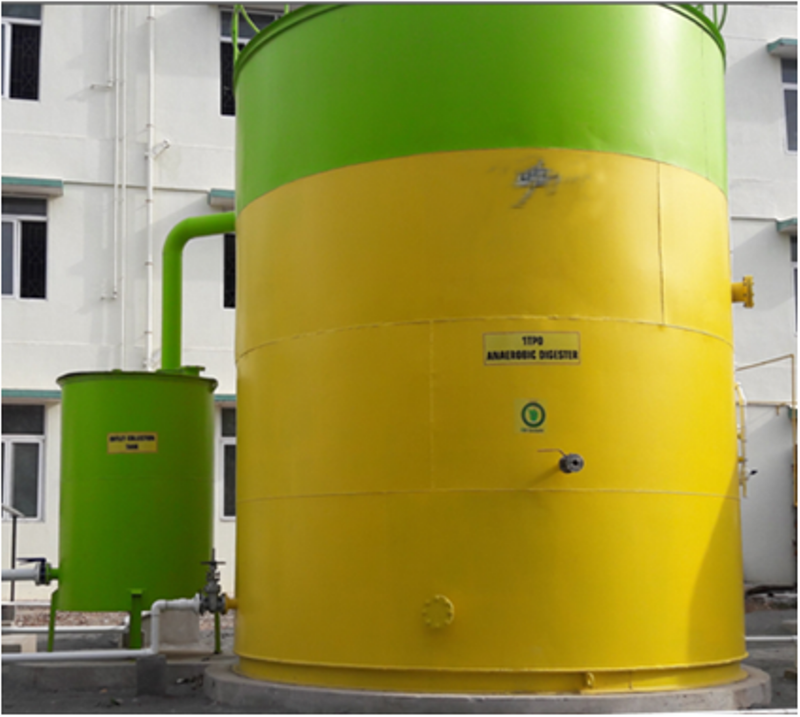 By Installing anaerobic digester & capturing biogas and utilizing the biogas in kitchen will bring down the emission reduction of CO2 from 243.47 tons to 45.1 tons per annum. Arka Automaations Ltd is one of the leading professional services companies, transforming clients' business, operating and technology models for the digital intelligence. Our organization is only as good as its people and the synergies they drive together.